Household wet areas can be difficult to design and build. At Unique Design, our expert staff will provide a quality solution to ensure all requirements are met. Wet areas are important to design correctly so that adequate ventilation is achieved to control humidity, mould and bacteria in the summer and to catch and store the morning sun for warmth in winter. Consider how often you use the wet areas in your home and you'll understand that such a high-use area needs to be built to withstand intense usage and last for a long time, this includes optimal waterproofing to prevent damage and floors that slope to floor drains to stop pooling of water. 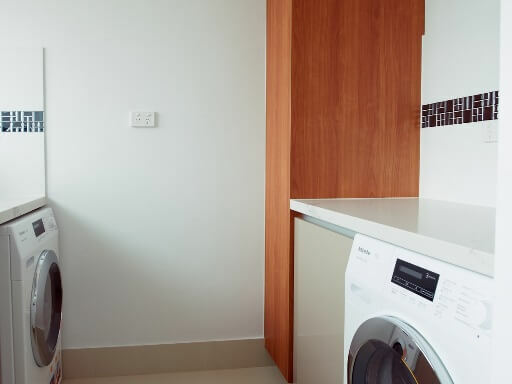 Being a high-storage area too, shelves, cabinets, benches and towel racks are not only necessary but can be placed in smart and innovative ways to save space. With space at a premium, it is essential to maximize the use of space saving ideas. 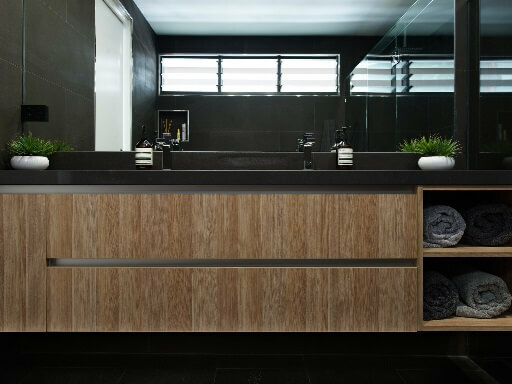 At Unique Design, our qualified and experienced designers work with builders and tradespeople to make bathrooms and laundries functional, attractive and versatile.